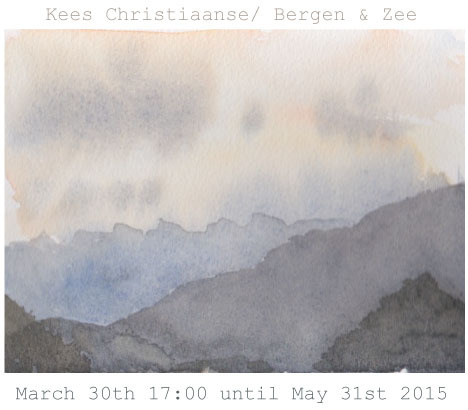 Weest hartelijk welkom op zondagmiddag 22 november om 15:00 uur in Wallgallery bij de lezing van René ten Bos, auteur van Water, een geofilosofische geschiedenis ter afsluiting van de tentoonstelling Water en stof. 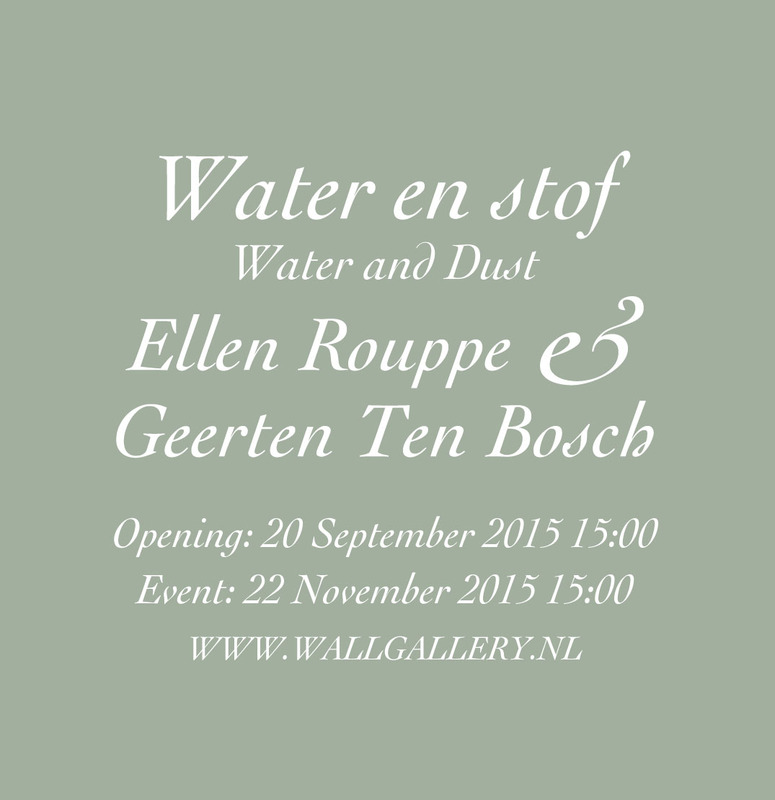 Water en stof [Water and Dust] is a duo-show in Wallgallery. On the 37th floor of the Red Apple the river floods the gallery space in the installation with waves of clay, salt objects and graphics by Ellen Rouppe. 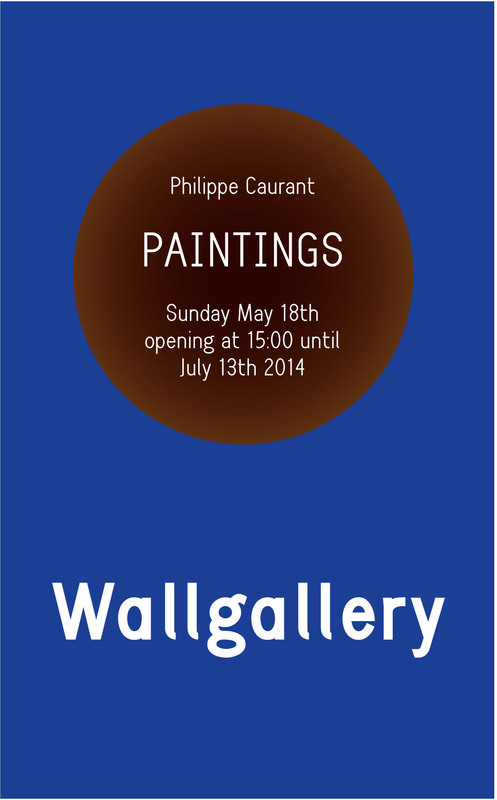 On the wall drawings and paintings on paper by Geerten Ten Bosch flow. And in the bathroom her co-production with Harriët van Reek Banketje’s Brief no 3 [Banquets Letter No 3] is set for a private viewing. 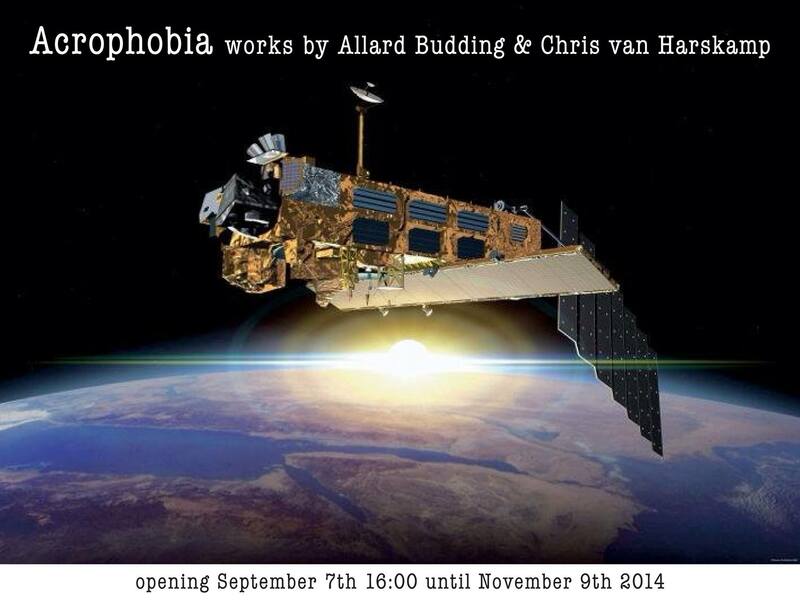 The opening for which you are cordially invited will be on Sunday September 20th at 15:00. 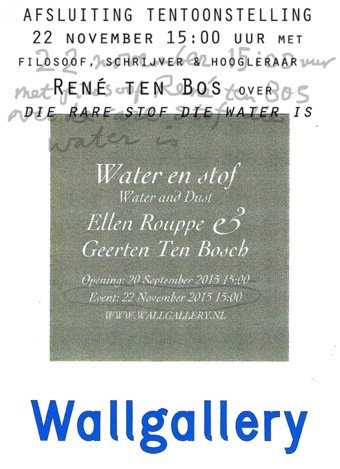 On Sunday November 22nd at 15:00 there will be a talk, in Dutch, on the strange matter that water is by philosopher René ten Bos, author of the book Water, een geofilosofische geschiedenis [Water, a geo-philosophical history] published last year. Ten Bos is professor in philosophy at the Radboud University Nijmegen. You are very welcome to attend this free closing event. How does the city enter? 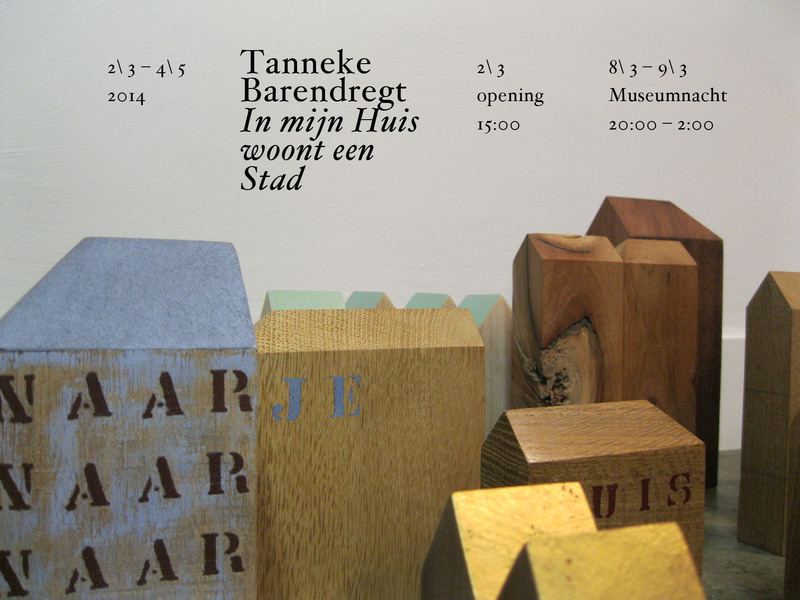 Tanneke Barendregt realized a big series of portraits which form a city within Wallgallery. In her body of work we find sculptures depicting animals, head shapes and also shapes of houses. Now, inspired by the view, Tanneke has decided to delve further into her theme of houses. 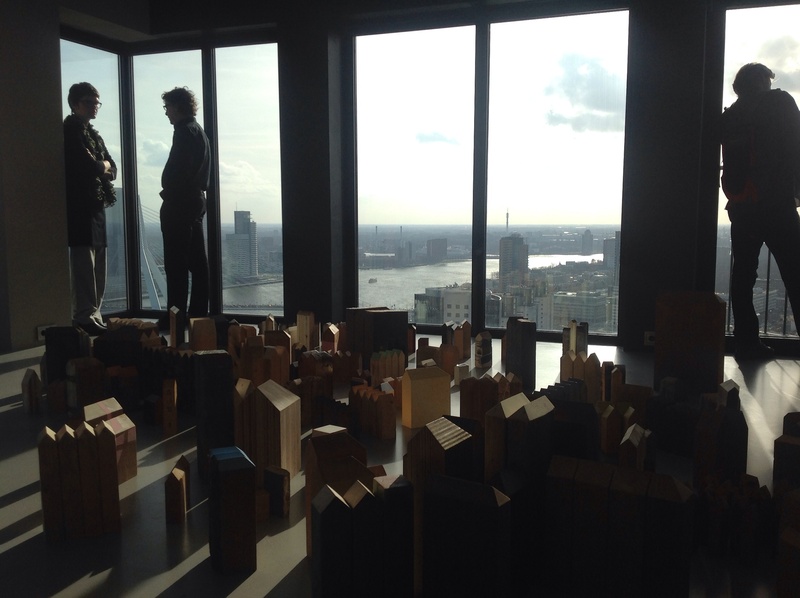 The great height, the city at our feet, this vision of the city in our apartment was the challenge. Deeply moving individuals came to life in wood. Depending on the materials they remain individual houses or become streets. Everyone can find an appealing object in the multitude that opens up the city. 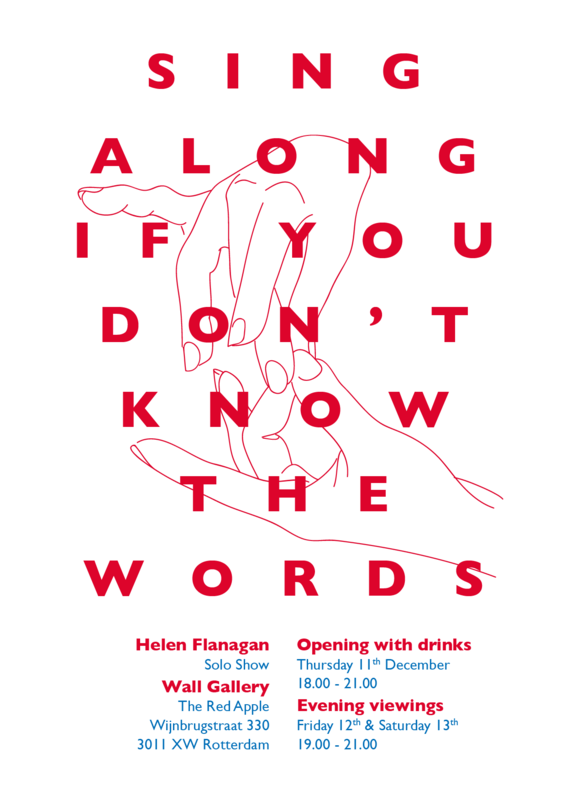 Due to the event’s approach, with the voice being the only source of sound, loudspeakers and microphones will not be used: Words Live 4 might perhaps become as intimate as a living room in which people are reading out to each other.